Growing up, I remember loving the texture of polenta flour. Breakfast was usually maize flour porridge and a cup of tea, and that still seems to do a whole lot for me these days. I loved that typical grainy consistency and always insisted my plate had to have lumps in it. Polenta cakes I've tried so far have been equally delicious but a bit too heavy. This one though is incredibly light and airy. Perfect for afternoon cups of tea in the Autumn. In a medium sized bowl, whisk egg yolks with with sugar until a creamy consistency. Gradually add hot milk. Then incorporate flour, lemon zest, and baking powder. Fold in the stiff egg whites. 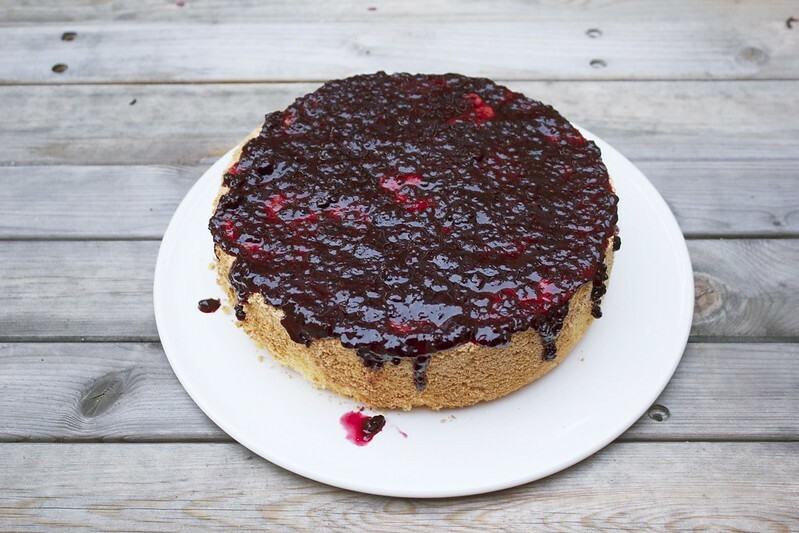 Pour into cake pan and bake for 1 hour at 160ºC. 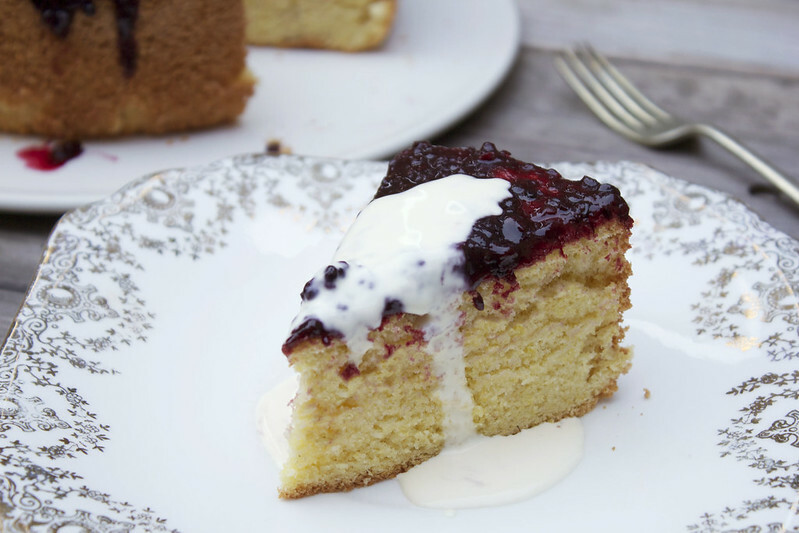 Top with blackberry syrup and cream or as you wish! ENJOY!